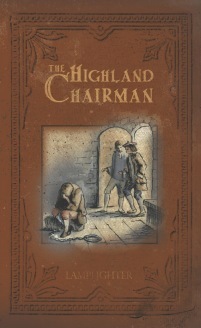 The Highland Chairman is a provocative story relative to today's busy culture, where values are turned upside-down and priorities are misaligned. It is a gripping account of how a father's poor choices and negative influence led to tragic consequences for his son. A powerful story for such a little book. Also includes additional story, Hans the Crucified. Bound in our special softcover edition, this is an excellent book to present as a gift to all the men in your congregation, family, friends, or neighborhood. What a great way to evangelize the lost while demonstrating to the men in our lives that we truly do care and value them. From Nancy Brubaker of Ogema, Wisconsin on 1/8/2019 . Great book! Definitely glad I got it. I want my children to read it once they are a little older. Makes a person think. From Gail Shaltunuk of Parma, Ohio on 6/12/2014 . I found the message of the book worthy of respect and for thoughtful examination of myself. I did purchase the book for a wide arrange of individuals that I felt the book was too aggressive with the message to give to them as a gift.